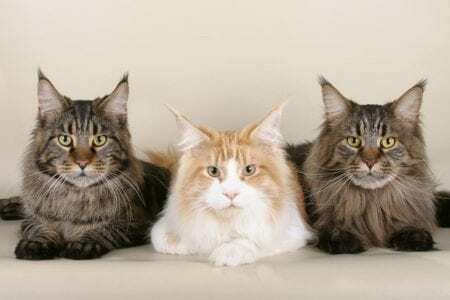 Every year on August 8, the world celebrates International Cat Day (National Cat Day), which is celebrated annually from 2002 on the initiative of the International Fund for the Protection of Animals. The holiday is designed to attract public attention to the problem of homeless animals, and also to create for the cats as many shelters as possible and to produce for them a quality feed. It should be noted that in many countries there are national holidays dedicated to cats, each of them has its own traditions. For example, in the US – on October 29, in Japan – on February 22, in Britain, Russia and China – on March 1, and so on. In the UK, cats are on a special account. This is due to the fact that annually one cat saves at least 10 tons of grain, and several dozen of these animals in the British Museum formally guard relics from mice. Cats, consisting of civil service, in this country provide special forms and comfortable houses. The cat, who has been guarding warehouses with food in Austria for several years, is given a lifetime pension in the form of meat, broth and milk. At the legislative level, cats are protected in China, where they used to be used for food. After the adoption of the new law, violators will face a solid fine or imprisonment for 15 days. Italians consider cats to be mystical creatures capable of frightening off evil spirits. Therefore, in Italy, cats are treated very well all the time, and not just on World Day. Ears of cats consist of 32 muscles, with twelve they use regularly. Cats have 14 times more intense smell than humans. The average longevity of a domestic cat is 15 years. If a cat is three years old, then it corresponds to twenty years of age. If the cat is 8 years old, then it’s 40 years old, in terms of our years, and if it’s 15 years old for our pet, it’s our 70’s. Cats can not fully exist if you do not feed them with meat, because it contains exactly the most important amino acid for the cats (arginine). Cats prefer warm or indoor food, not cold or hot. Some people treat their pets with human medicines. 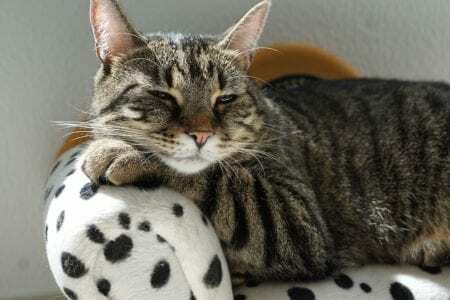 Interestingly, cats can be lethal poisoned with a regular Aspirin tablet. Do you know how many times per minute a heart beats a cat? – it’s about 140 hits. For comparison, at people the norm is equal to 80 impacts. Everyone knows that fingerprints can be identified by any person, since they do not repeat themselves, being absolutely unique. The same goes for the fingerprint of a cat’s nose. Interestingly, cats are able to hear sounds transmitted at a frequency of 60 kHz. To understand this, imagine that the dogs are heard at a frequency of 40 kHz, and people are 20 kHz. Naturally, even the most subtle rustle of the mouse, which seems silent to us, is very clearly heard for cats. It is incredible, but these creatures can produce over 100 different sounds, while dogs only have about 10 sounds. As a rule, all cats have twelve whiskers on each side. 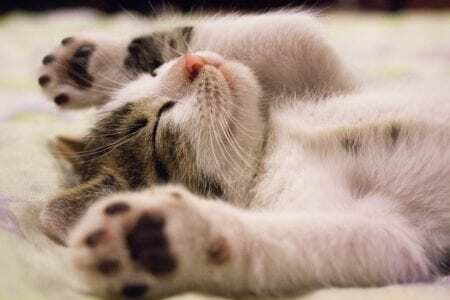 An interesting fact is the scientific evidence that cats hide claws during sleep. This applies to the entire cat family, with the exception of a cheetah only – his claws are always ready. But this fact for sure you do not know. Do you know why cats lick their wool? It does not happen at all from cleanliness. Simply, cats, in this way, lick the substance released by their body, which normalizes their mental activity. That is, roughly speaking, if the cat does not lick himself – he is quite possible, crap! If you speak seriously, then it is really important, and if you deprive a cat of this opportunity, she may simply die. It is necessary to know that the allergy to cats is caused not by the wool itself, but by the FEL D1 protein, which is distributed with the help of wool. Interesting is the fact that cats are more allergenic than cats. Most cats demonstrate a location for people to bump or “crash” their heads into your legs. This is indeed a manifestation of attachment, although at times it is such an act of irritation. Virtually all cats love valerian. Her smell acts on them like a magnet. Interestingly, they turn into drug addicts when they hear this scent and are totally drunk with valerian. In the case of an overdose, the pet may even die, so it’s impossible to indulge in it. If a cat waggles with a tail, it means that there is a complicated dilemma inside it. For example, standing in the door and not knowing whether to go outside under the rain or stay in a dry room, the cat will rock his tail. If the tail of a cat trembles, when you are near, then you are sure that you are one of the closest and most expensive creatures for her. This shows the most tender feeling of these pets. Cats do not like sweet. The fact is that they simply do not understand the taste of sweetness due to the lack of necessary taste buds. Therefore, you will not spoil the candies of these comrades! When a cat shaves his legs, she shows that she is very unpleasant. The eyes of the cats glow in the dark because the light is reflected from their retina. For this reason, they only need a sixth part of the light that we need for orientation in space. Cats are by nature long-sighted, and close objects are staring with difficulty. But the dogs on the contrary are short-sighted. Ailurophilia is an excessive love for cats. It is excessive, since this term is taken from psychiatry. As a rule, such mental disorder affects elderly women, containing in a small apartment for several dozen of these pets. Cats sleep two thirds of the time in a day, and the other hours take care of themselves. Probably, for this reason, they do not have the time to quarrel with their masters, as do not have dogs of their own merits! In Australia, 90% of homes have cats. Such a “feline state” itself! The kittens also have milk teeth, as well as humans. Egypt loved cats very much. In the event that the domestic pet dies, all members of the family shaved their eyebrows as a sign of grief. How surprising it is, but the feline tribe does not sweat. Yes, yes, they can only moisturize the pillows of their paws. Especially capable cats can safely transfer the fall even from the height of a nine-story house.